Magenta | The Twenty Seven Club. 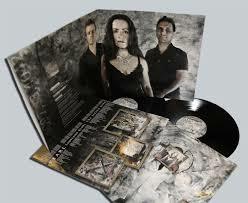 Relaeased on September 2nd is the latest album The Twenty Seven Club by Welsh Progsters Magenta. Being as i am a late convert to Magenta’s music iv’e had a lot of catching up to do. and that is exactly what i have been doing. Bringing myself bang up to date on the bands work i decided to treat myself to the double vinyl version of the of the album and all my findings are based on this format. All the usual suspects are here plus a very welcome guest on the drum stool, Mr Andy Edwards. I have seen Andy play live with IQ on numerous occasions and have to congratulate messrs Reed et al on a splendid choice in the engine room. As many already know The Twenty Seven Club includes numerous famous individuals in this case six musicians all of whom tragically died at the age of, yes you guessed it, 27. The first of these musical celebrities to be given the Magenta treatment is Jim Morrison AKA The Lizard King. The Lizard King starts the album in a dramatic fashion with an almost Arabesque feel to it. Christina Booth’s voice seems to be the strongest it has been to date. Andy Edwards solid drum sound from the outset adds to the drama that befits the turbulant life of Jim Morrison. This really is a return to form for Magenta and harks back to the stylr of lod faves like seven. Having said that a lot of Rob Reeds String effects do sound more in the Kompendium camp. A fantastic start to a very special collection of progressive songs. Chris Fry’s use of wah wah pedal heralds the fitting opening of Ladyland Blues a musical ode to guitar legend Jimmy Hendrix. I can’t help think that Mr Hendrix may not have approved of such a tribute laden as it is with keyboards and a rather attractive young woman singing. Rob Reed included some cheeky Genesis organ chops and both keyboards and guitar were ably driven along by Andy Edwards express train drum technique. 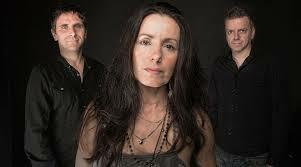 Again, the racier parts of the song are offset by the purity of Christina’s harmonies, strong vocals and Chris Fry’s delicate touch with acoustic guitar with a few more raucus inflections which sounded dangerously like Steve Hackett’s “A Tower Struck Down. Taking the pace down a little is Pearl. The tragic tale of Janis Joplin and the title of her final album. a gentle Rhodes sound and heartfelt vocal delivery really demonstrates the tragedy of Joplins troubled life. Chris Fry’s sumptuous blues guitar could easily have been suitable accompanyment to Janis Joplin herself and perfectly represents her musical style. I found it easy to become involved in the characters portraid by Magenta and Steve Reed’s take on the history of these six victims. None more so than the very sad tale of the Rolling Stones founder member Brian Jones. In full blown Yes mode team Magenta hurl headlong into Stoned. I detected a slight supression of the vocals on this song which although mildly irritating did not spoil my enjoyment of this song and it was more than made up for by Rob Reed’s synth playing which i think is the best he has played on any of the previous albums. Andy Edwards drums yet again in a class of it’s own. This song really does get across the turmoil and injustice of Brian Jones’s short life from his privalaged upbringing in Gloucestershire through the abandonment by his urstwhile colleagues and unscrupulous management to his tragic death at his Sussex home. All very sad and musically laid bare, Steve Reed’s lyrics do real justice adding a great deal of emotion to the piece. The highlight of the album for me. The penultamate song on the album is one that i found lyrically bewildering. The Gift regails the life of Kurt Cobain the most recent of the six club members here. Found at his home by an electrician trying to gain access to the house in order to install security apparatus, Cobain’s body was found in a chair with the weapon beneath his chin. A troubled soul, he lost all faith in the music machine and battled with alcohol and drug addiction. Rob Reed’s orchestration throughout this song is as ever awesome adding drama to the piece invoking the torture of Kurt Cobain’s troubled mind which lead him to pull the trigger. The powerful cressendo is followed by a delicate piano outro which i feel represents release. The final song of the album is a fifteen minute opus about black blues guitarist Robert Johnson. It was thought that Johnson had a Faustian pact with the devil trading his soul at a crossroad in turn for success hence the title The Devil At The Crossroads. Johnson was a nomadic soul having a lady in every town to tend his every need whist he was playing there. It was rumoured that he was poisoned by a jelous boyfriend or husband of one such lady who supplied him with a strychnine laced bottle of whiskey. This epic song bleeds emotion and feeling giving the listner a hint of Robert Johnson’s plight. Rob Reed’s orchestration adding impatus to this real life story harkig back to the ninteen thirty’s. Chris Fry’s guitar soaring amidst the scale of this piece really inpressed as he slowed it down to a blue grass/blues style which is the style that Johnson would have played. Christina Booth’s lilting voice brings to an end six powerful tales of woe which i found thought provoking, exciting and without doubt Magenta’s best work to date. The sound stage thrown out by the heavy vinyl version of The Twenty Seven Club is terrific and really worth the extra cash as it not only sounds great it fully exploits the superb art work by Bjorn Goosses. The down side is that you don’t get the now obligatory making of DVD which to be honest i would have found helpful to write this review. I have no doubt that it answers all of the obvious questions like which song is about whom. Personally i would like to know what some of the illustrations mean and who the geezer in the white suit is? I may have to buy a digital version to find out. feel free to email me the answers. If you have yet to experience Magenta and would like to hear them at their best look no further. By buying The Twenty Seven Club you may well find yourself buying the bands back catalogue. This album not only sounds amazing it prompts you into researching the six members of Magenta’s club and even listening to their music. Musical gold! CD with DVD making of Documentary and 5.1 surround sound mix available from www.magenta-web.com and costs £12.